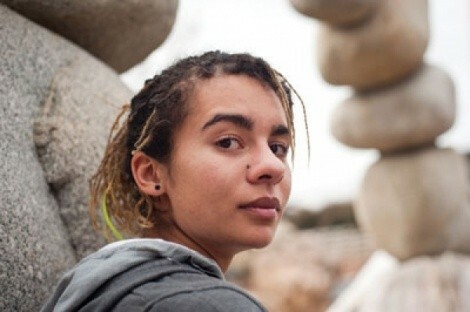 Roxanne Russell, 22, is a modern-day vagabond who comes to Salt Lake City by way of Milwaukee, Wis. As a food server and bartender for three years, Russell said hearing the regrets of people not living their dreams haunted her. In May 2011, she gave away most of her belongings and hit the road. What made you walk away from your life? I worked in a number of local bars and restaurants; my clientele ranged from families with infant children to adults well into their 90s. I did the same thing seven days a week: Go to work, go to another bar, go home, wake up and do it again. I’ve had regular customers who didn’t have that much life left and had followed the same routine since they were my age or younger. They would talk about things they wish they’d done with their lives. I didn’t want to spend my whole life daydreaming and not actually experiencing anything. By May 2011, I just couldn’t handle it anymore. I put in my two weeks’ notice at both of my jobs, put in a request on CouchSurfing.com and bought a one-way ticket to San Francisco. I packed a duffle bag, then asked friends who happened to be around while I was cleaning out my closet to take what they wanted. I threw away the rest. Where have you traveled since you left? My intent was to work seasonally, starting in San Francisco and travel from there. However, when I got to California, I was really bored and lonely. There is a whole traveling community that I had no idea existed. I met some people who were a part of it, and they asked me to hitch to the national Rainbow Gathering in Washington State with them. I never made it to the gathering, and instead went to Seattle. Since then, I have been up and down the West Coast. I left a few weeks ago to get a job at a ski resort in Colorado and learn how to snowboard. On my way, I stopped in Salt Lake City and met someone who told me that I could do the same thing here and asked me to stay. How much money did you save for your trip? I probably had $200 when I left Wisconsin. I have exactly 38 cents right now. Money comes and goes. How do you get from town to town? I mostly hitch to get around. Sometimes I take buses. I really want to hop a train, but that’s a felony and dangerous. Waking up on a gutted and painted short bus, and walking outside to watch the sun rise over Mount Shasta with some of the most amazing people I know. The Oregon Coast is beautiful. As far as cities go, I really like Santa Cruz and Eugene. What is your impression of Salt Lake City? Salt Lake City is beautiful. Something should probably be done about the air quality, though. I keep passing out because of the combination of the elevation and pollution. I’ve also never seen a city so segregated by religion. That said, I really like that it has such a distinct culture. What do you hope to gain from your travels? I didn’t know exactly what I was looking for when I left, just that I needed something more. The way I’ve been traveling forces me into situations where I have to socialize with people I otherwise would never have known. I feel that gaining so many perspectives will give me a better understanding of the world and my place in it. My sister went to Louisiana this summer and loved it, so I would like to see what’s so great about it. People keep asking me to go to Hawaii. I’d like to spend time in Brazil, Germany, Mexico, Portugal, Angola, Greece, Italy—the list keeps growing. Do you feel a kinship with the Occupy movement? Do you identify with their struggles? I’ve actually done a lot of work with the Occupy movement on my travels. The people I started traveling with when I left San Fran inspired me to question what I want in life. I don’t have a complete concept of what that is yet, other than I want to be free. Occupy demands a freedom and equality that I, until recently, accepted as unattainable.